RESTAURANTS AND FOOD: Dooks Fine Food. Fethard’s Medieval Walls. 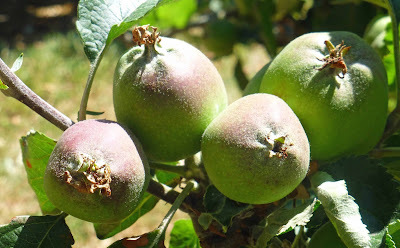 And a call to the Apple Farm. Dooks Fine Food. 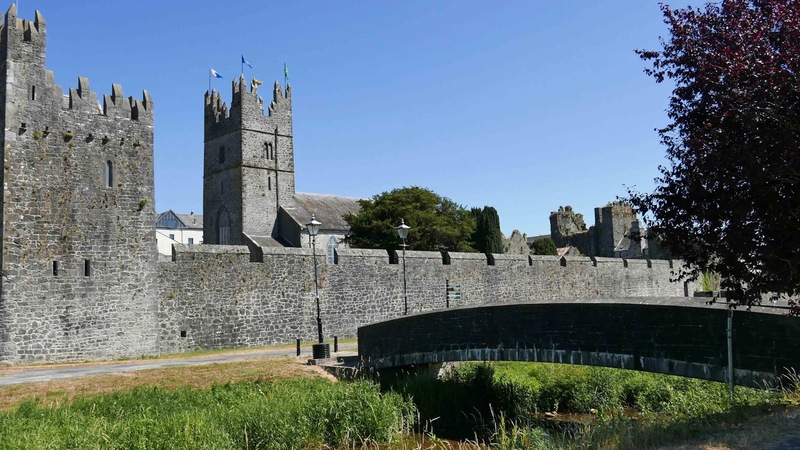 Fethard’s Medieval Walls. And a call to the Apple Farm. Dooks Fine Food. Fethard’s Medieval Walls. And a call to the Apple Farm. 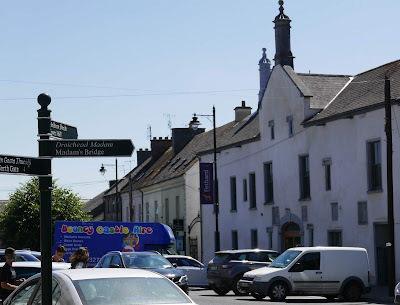 My latest trip to Tipp saw me take a walk along the medieval area of Fethard, lunch in Dooks restaurant, and call to the Apple Farm, near Cahir, on the way home. People go to Fethard to mostly visit the Coolmore Stud and dine or drink or both in John McCarthy’s famous establishment on the Main Street but I did neither, holding them back for the next trip! McCarthy’s, by the way, is a busy spot. It is one of Ireland’s oldest unchanged pubs, is also a restaurant and, believe it or not, an undertakers. Be careful which menu you ask for. No such problems at Dooks Fine Food which has a prime position at the bottom of the main street, alongside the Clashawley River, at the junction of the Clonmel and Urlingford roads and opposite a large car park. Richard Gleeson’s restaurant and deli is spacious and bright, lots of local food for you to enjoy inside, or on the seats outside and, of course, at home if you shop at the deli. 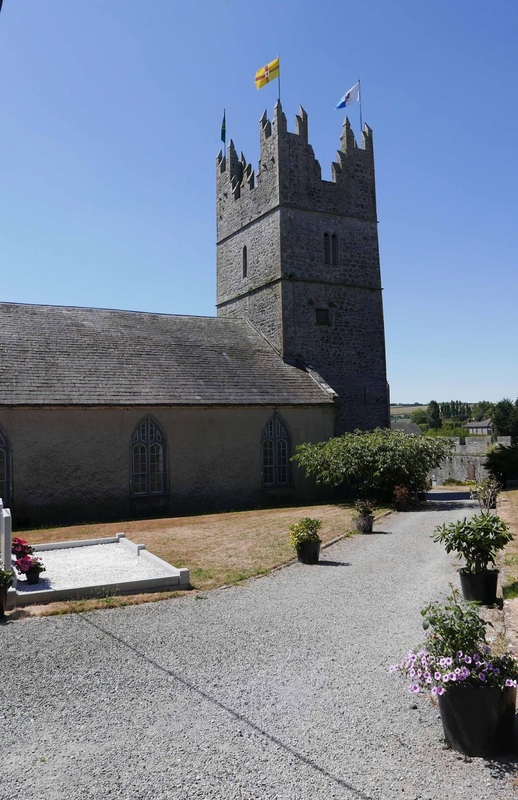 Fethard, by the way, is hardly an hour from the east side of Cork city - you have the M8 motorway for the majority of the way and that leaves just about 16 kilometres on secondary roads.Take the Cashel exit and you’ll have no problem finding the little town. And no problem finding Dooks either. 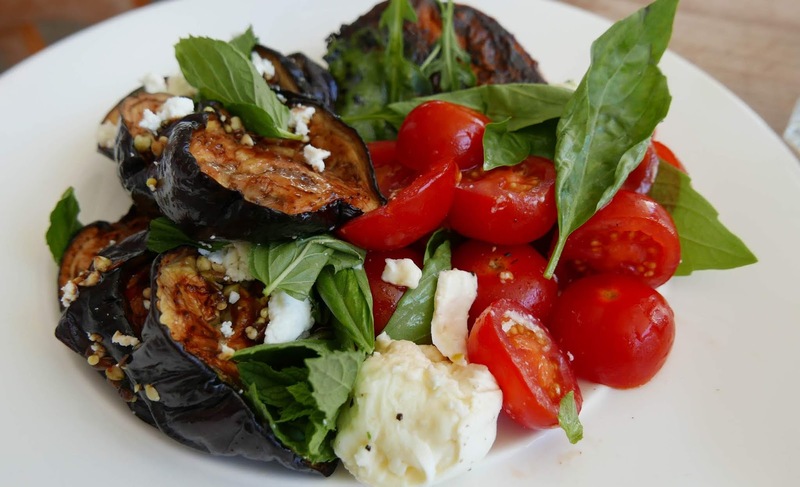 Richard was preparing a large plateful of a colourful Mozzarella salad when we arrived. It was eye-catching and tempting and featured in our lunch, well at least one serving of it. Dooks had opened long before that of course as they do breakfast here, served from 7.30am. Quite a choice including a very interesting looking fry of Rosemary, orange and fennel sausage, oven roasted tomatoes, fried eggs and Dooks white yeast toast. But back to the lunch. 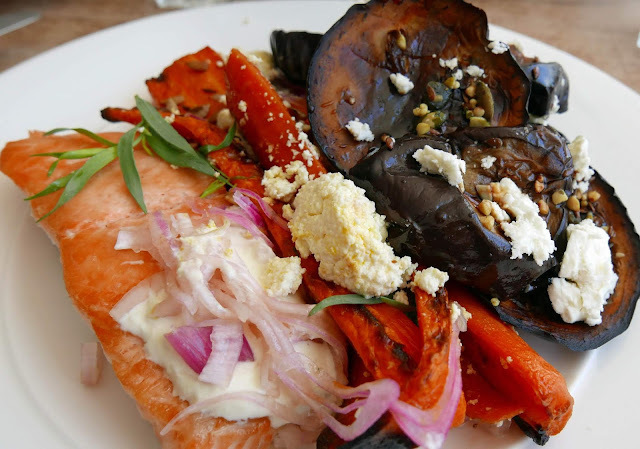 My pick was the Roast salmon fillet, with horseradish cream and pickled shallot and that came with my choice of two salads: Roasted aubergine, balsamic reduction, toasted mixed seeds, feta and mint, and the second one of roasted carrots, toasted sunflower seeds, pickled shallots, Dooks ricotta and tarragon. Quite a plateful (for 13.50), full of good stuff, even those seeds a lovely feature. It was the OBC (official blog chef) who got the delightful cherry tomato, Toonsbridge Mozzarella and basil salad. She also choose the Roasted aubergine and her meat was the Lemon, Garlic and Buttermilk marinated chicken supreme with rocket pesto, another plateful of well cooked produce, well presented and well dispatched. We did have a look at the short but “well-formed” wine list, spotting some favourites there such as the Bodegas Menade Verdejo from Rueda and the Domaine Chaume Arnaud Vinsobres from the Rhone. 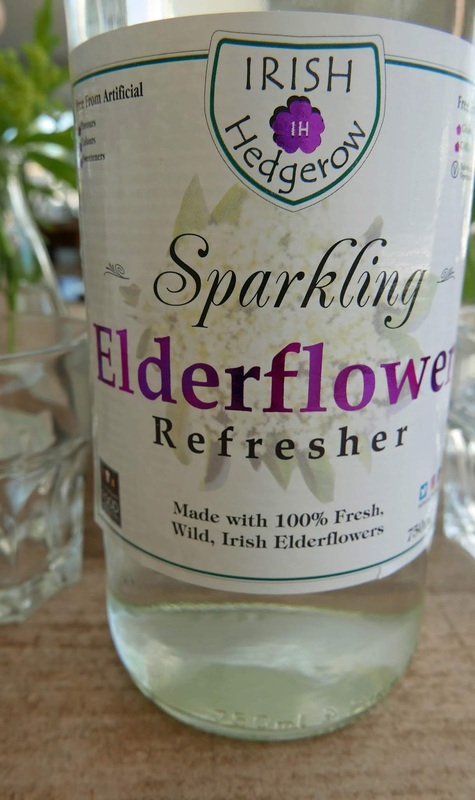 But we stuck with the non-alcoholic, a refreshing Sparkling Elderflower by local producers Irish Hedgerow. With the sun beating down outside, we also skipped the coffee and were a little sorry for that omission when we spotted some delightful pastries as we paid at the counter. Next time! We had walked around the very impressive medieval remains, before lunch, following the long stretch of wall (parts dating from 1292) by the river and moving by the various gates, Water Gate, East Gate and, most impressively, North Gate, also the cluster of two castles and the old Holy Trinity Church (key available at O’Sullivan’s pharmacy). The Town Hall has had variations and alterations and various functions since its 16th century beginning and is now in use for tourist purposes. Here too you will find the Fethard Horse Country Experience and from here you may arrange a tour of Coolmore Stud. Check it all out here. I’ll be doing just that the next time I’m in Fethard. 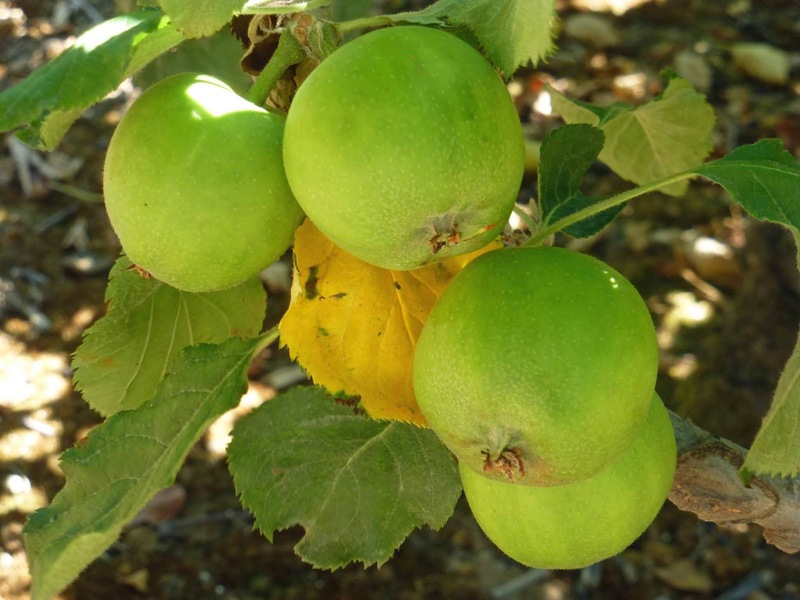 On the way back to Cork, we made a short detour from the M8 to the Apple Farm on the Clonmel road. And stocked up on jams, cider, and fruits, including some of the delicious juicy sweet cherries. It is a busy spot but the drought is taking its toll and plums, we heard, may not be as plentiful as last year when the harvest comes in. Indeed, a day after our visit, owner Con Traas was tweeting: The last rain fell at our farm on 19/6, a mere 0.2mm drizzle. Since May 11th (2 months to the day) we have recorded 23.2mm total (about a weeks rain here in normal circumstances). We have exceeded the criteria for both absolute drought and partial drought. I know the constant sun has been great this year but we could do with some rain now! Wonder what the weather was like in Fethard when those Norman builders were hard at it all those centuries ago. The Grubbs. Blessed be the cheesemakers. Con's Irish Cider. The Real Thing! More from the dark side.